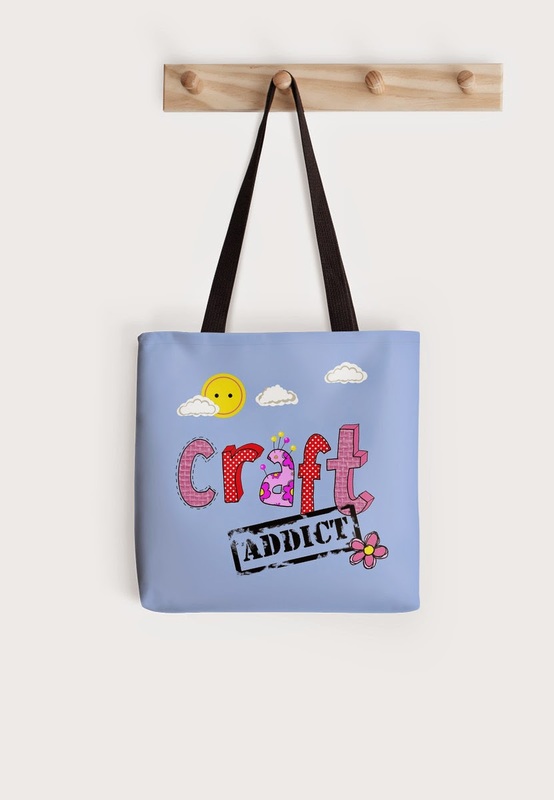 One of the things I've been playing around with recently is designs for totes, t-shirts and other stuff like phone covers and cushions (pillows), all via the print-on-demand site, Redbubble. The design started with a hand drawn image, embellished digitally with a button sun peeping out from little clouds. 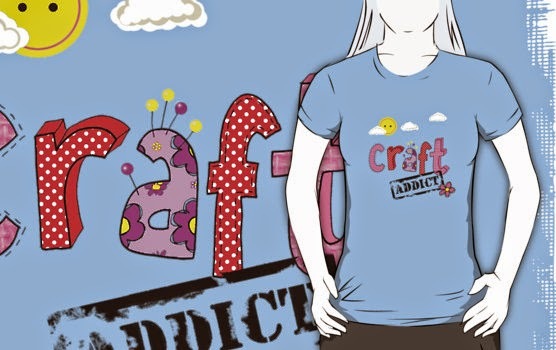 I think the rubber stamp seems to make the craft addict definition very official! The texture on the C and T comes from fabric I scanned, which I then altered digitally to create different colours, and the A is a little pincushion! It's available directly through Redbubble, on a variety of products. 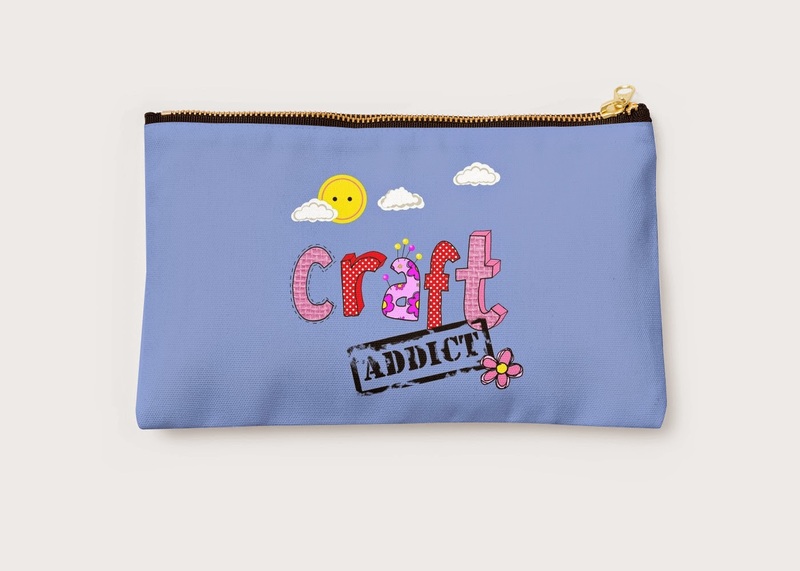 I really like the studio pouches - they are available in a few sizes, and look like they will be really useful! Just in case you're interested, my Redbubble shop is here, and is already populated with an eclectic mix of designs, a lot of which are based on humour. I firmly believe it's a sense of humour that gets you through life, especially when the going gets a little tough! Feel free to let me know what you think! Also, if you have any ideas based on a crafting theme (and/or humour) that you'd like to see, please do let me know. Edited to add: it's also available as a mug now, with the design on both sides of the mug. The mug is listed separately from the other designs, as it seemed the only way to get the design on both sides. Love your range Wendy, its so full of wonderful humour and gorgeous illustrations too. Thanks Natalie. Yes, it's Quentin's paw print - well spotted!! This is one of the most informative blog post I have gone through with it today! Really appreciate your efforts on this blog. To get such Silver initial necklace I would really check your posts first. Hey this is really cool, it looks particularly good to me on a phone and a t-shirt. 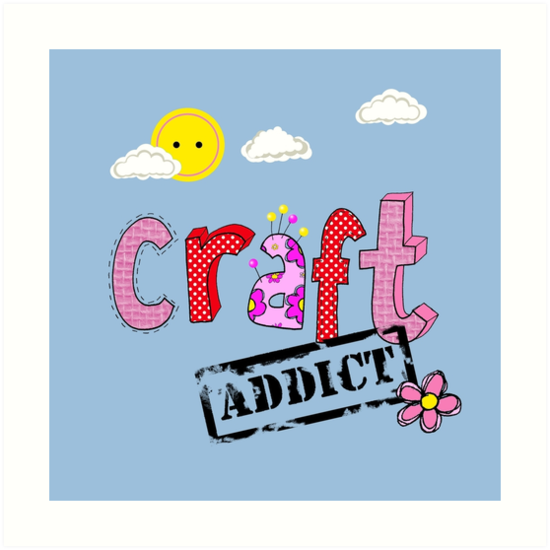 I'm certainly a craft addict I know that, I've got craft materials and tools spouting out of every corner of my home and every time I do something new my kids are like "Oh mum, is this your latest 'thing'" *dripping with sarcasm*.